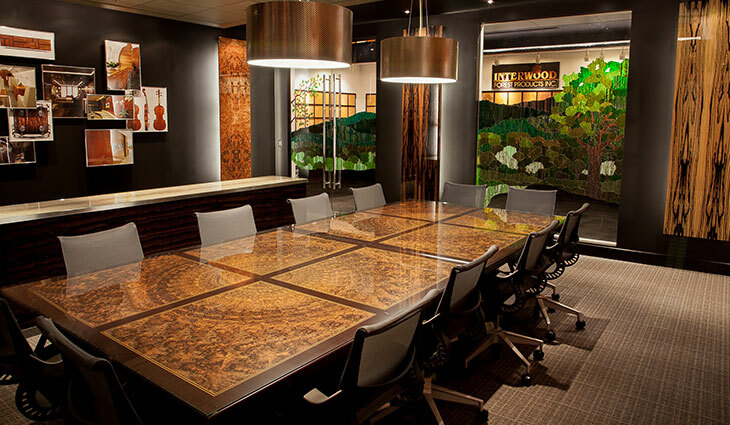 Contact us to set up a lunch & learn with your firm in our studio. 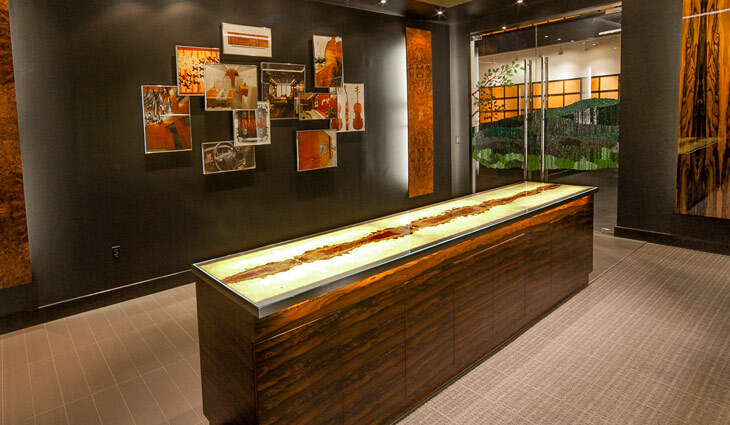 When searching for Architectural grades of veneers and ONE-OF-A-KIND species, then look no further. 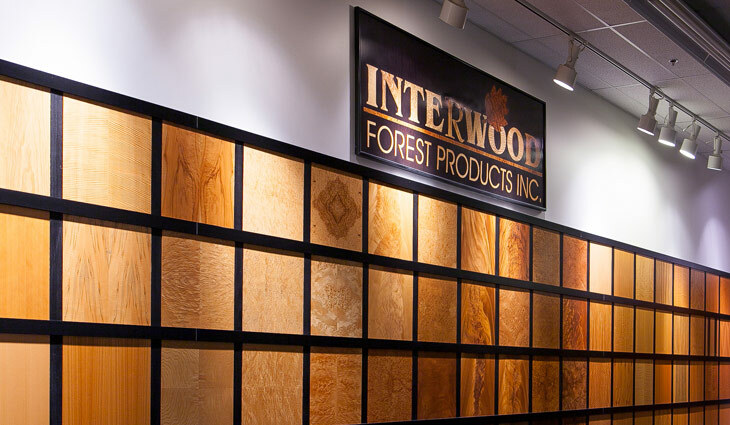 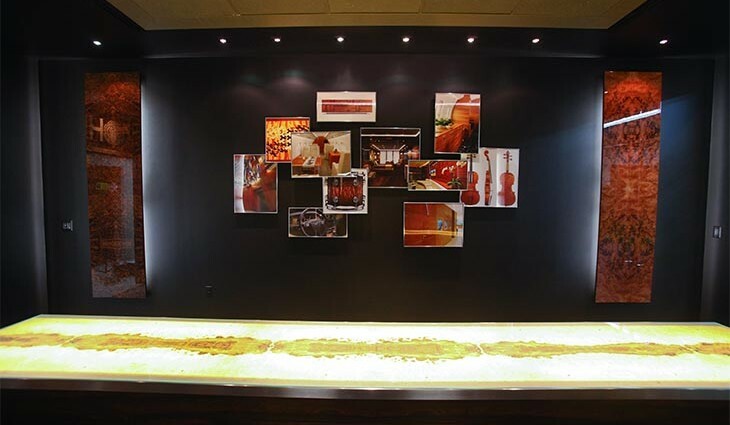 Interwood has built a reputation in finding and providing species of wood veneer to some of the most prestigious clientele. 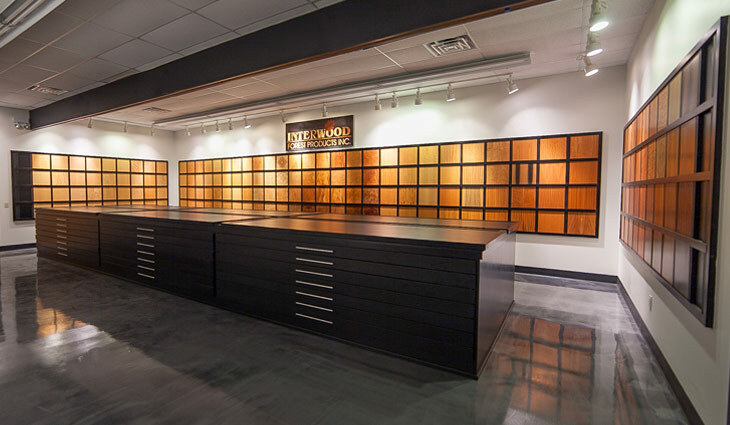 The STUDIO was designed to cater to these clients as well as to inspire designers & architects to explore the endless possibilities of wood. 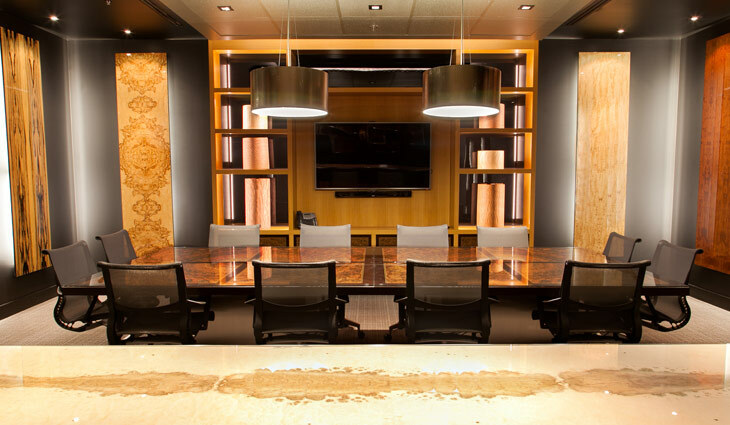 Showcasing over 200 veneered panels of different grains, colors, & figure types assures us that this goal has clearly been met.